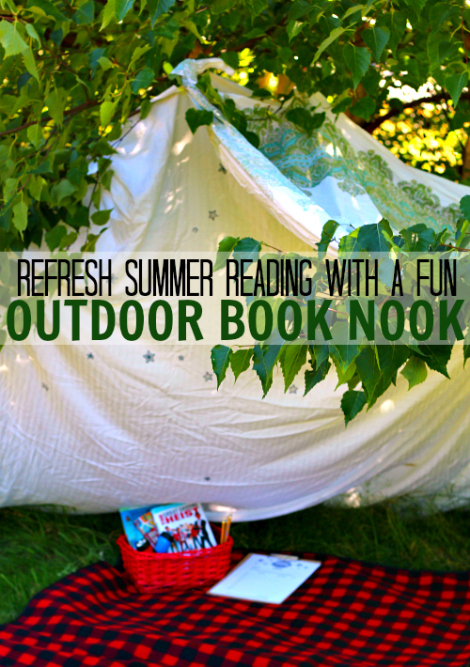 Freshen up your summer reading with this fun and easy outdoor book nook. 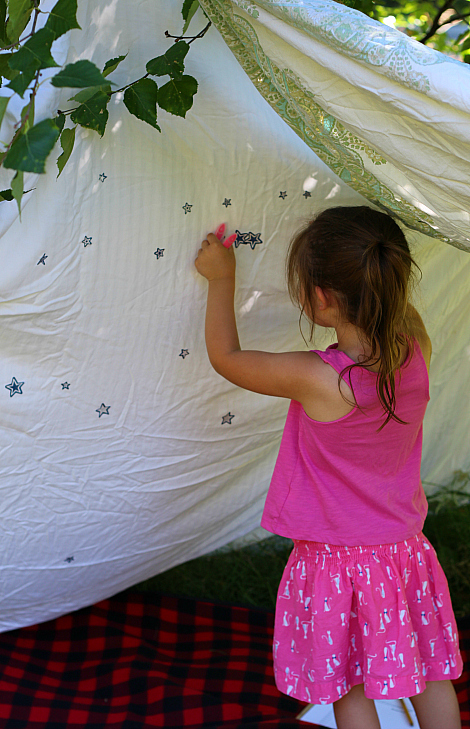 When Scholastic sent us a super fun summer reading party pack and asked us to share with our readers how we would add some extra fun to summer reading, we decided to have a little reading under the stars party in our yard. The kids tried to convince me to let them stay up until it was really dark out but around here it’s not dark until way WAY past their bedtime. Being the stickler for bedtimes that I am we came up with a fun solution so that we could still read under the stars. Gather your materials. You will need some sheets or table cloths ( we used one of each) some glow in the dark stickers, fun props like flashlights, headlamps, camp blankets, and of course a basket of books. I also have some reading logs, a clip board, and pencils. 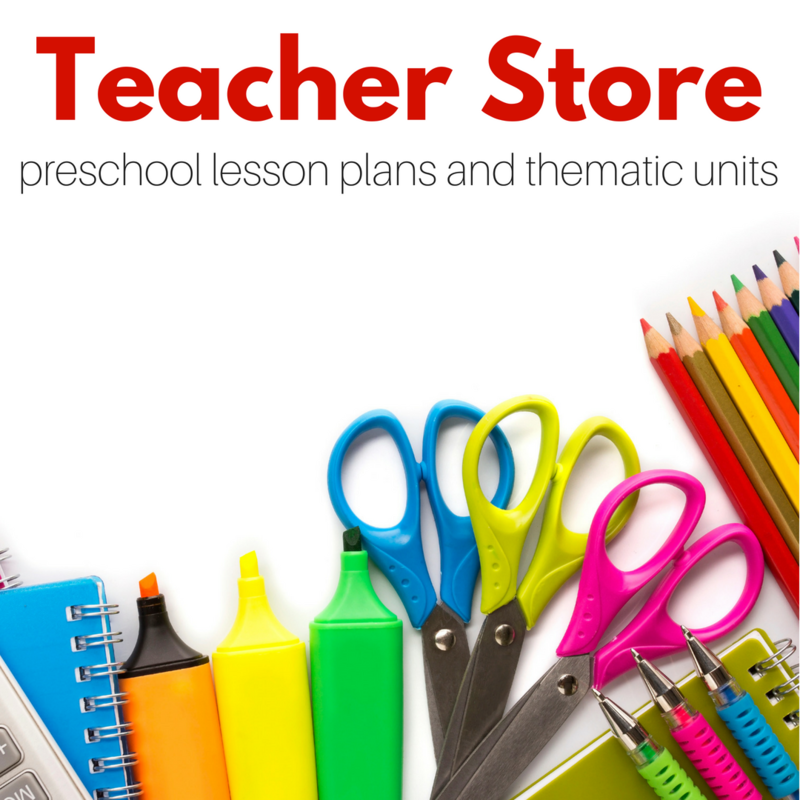 You can find a whole bunch of printables and other summer reading materials on Scholastic’s Summer Reading page. 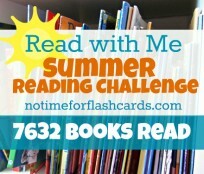 If you want to have a summer reading party they even have a digital invitation- check it out. Start by tying the sheets to some trees. Here’s the thing. In my head I thought this would look like some magical reading tent but the reality is that I do not have a degree in design or architecture and I just tied the sheets where I could. Does it look at cute as I hoped? Nope. 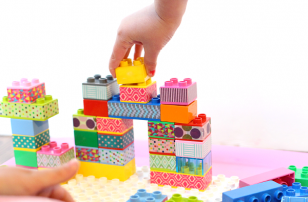 Did my kids care? Nope. Perfect isn’t perfect. Just have fun the important part is the reading not the structure. 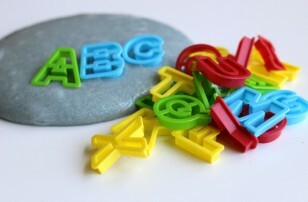 You are just offering your children some novelty to kick some new energy into their reading goals. I used some rocks to hold the bottoms down. Then my daughter went to town adding the star stickers. 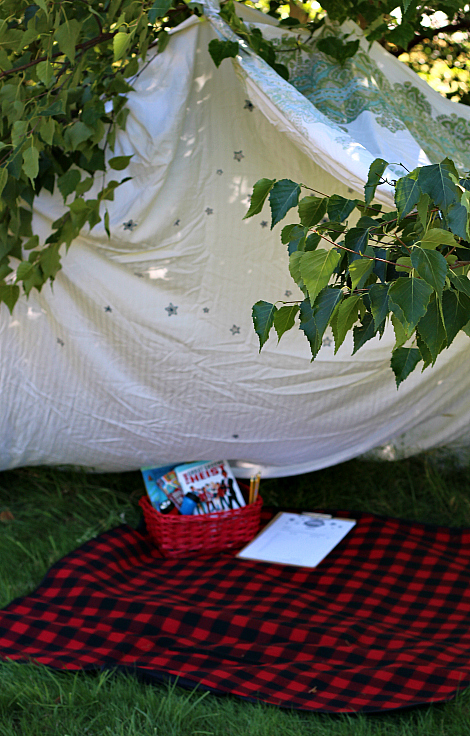 Even in the daylight you can read under the stars this way! Read. 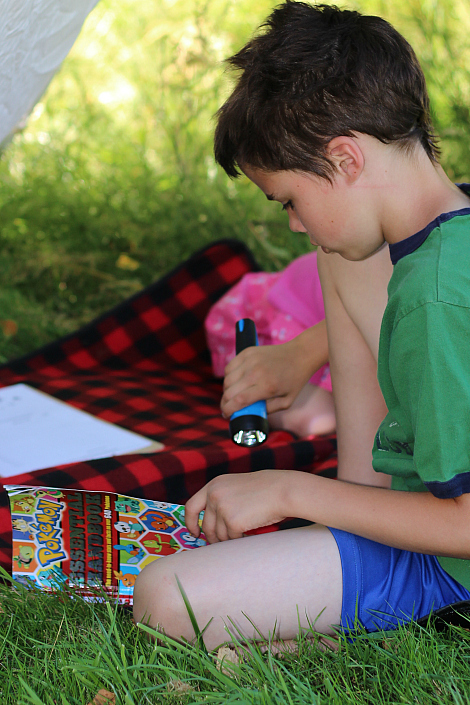 Flashlights might seem silly in the bright sunlight to adults but both my kids were totally into using them for this. They jumped right into pretend play but the rad thing is that even though they were pretending to be camping out on Mt. Rainer at night the reading they were doing was real. Books to Read Under The Stars! 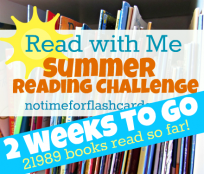 Check out these great books ( link here or click the image above ) that are perfect to read with headlamps and flashlights! 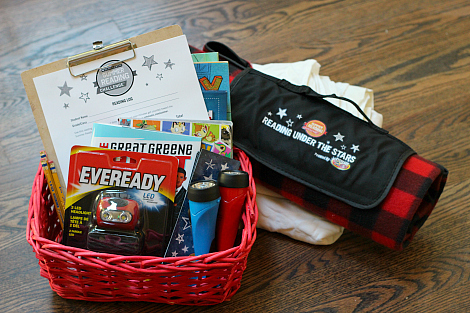 This year’s Summer Reading theme is Reading Under The Stars, and is powered by EVEREADY® to encourage families to discover new and fun ways to explore reading outside this summer. 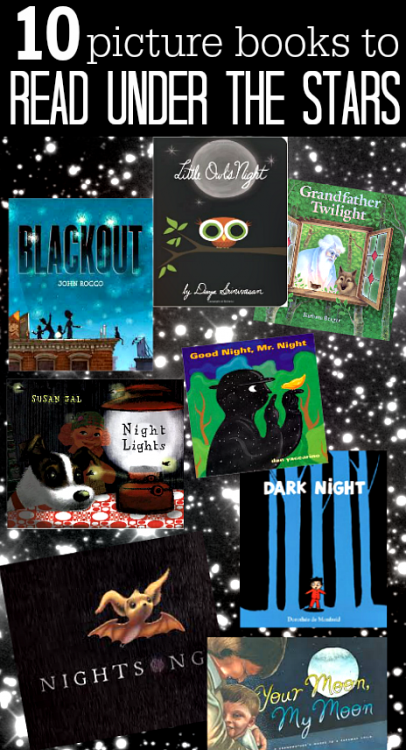 If you don’t have the time to make a ( not as pretty as you hoped) outdoor book nook grab a flashlight or two and read some of these great books under the blankets. 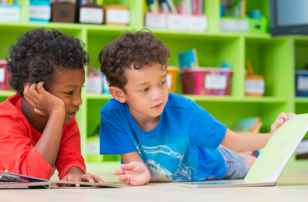 Making reading fun doesn’t have to be complicated. As stated above this post is sponsored by Scholastic. Really nice ideas. 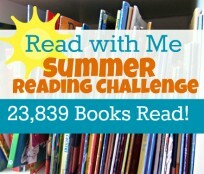 simple for outside reading. I just back in my childhood.